For the past 25 years one type of siding has made it’s way onto the housing scene and it doesn’t look like it’s leaving any time soon. In fact, year over year this type of siding is generating more and more sales and is being installed on numerous homes throughout the Michigan area. 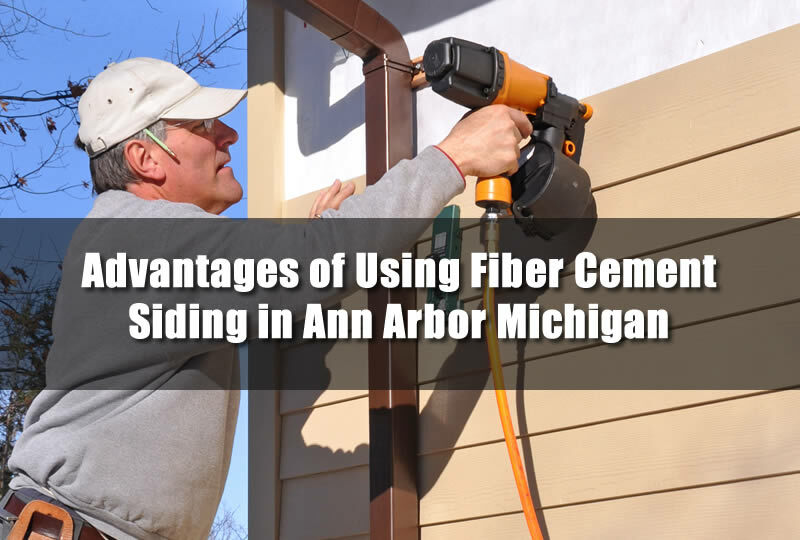 The siding I’m referring to is called fiber cement siding and if you’re considering installing it on your home be sure to check out some of the advantages of installing fiber cement siding in Ann Arbor Michigan which I’ll go over in more details in this article. Most brands of this popular siding all typically make it the same way. Some can add colors and other ingredients to make it a bit better but the advantages of fiber cement siding I’ll go over in this article will encompass all the major brands and their benefits of using the fiber cement siding in Ann Arbor Michigan and surrounding areas. With so many siding choices on the market today there are loads of choices which may be a little less expensive but aren’t nearly as durable as fiber cement siding. For instance, aluminum siding will cover your home but simply bouncing a ball on the siding could produce dents in the siding. Since the fiber cement siding is basically made from cement it’s much less likely to incur any damages. Other types of siding such as vinyl siding aren’t as strong as fiber cement siding and may crack when something hits it especially in the cold Michigan wintertime. If you love the look and feel of wooden siding on your home but don’t want the constant maintenance that wood siding requires then fiber cement siding is the way to go. Fiber cement siding comes in several different patterns and some include wood grain finishes. Once installed it’s very difficult to distinguish whether it’s real wood siding or fiber cement siding. The biggest difference is the maintenance that is required for the wood siding. There are also flat patterns that don’t have a wood grain pattern that has a more modern look for your home. And unlike wooden siding you won’t need to worry about termites, insects or rotting of the fiber cement siding in Ann Arbor Michigan. It’s not affected by these items at all. It’s also not affected by warping and cracking like some wooden siding suffers from. And unlike wooden siding you won’t need to worry about termites, insects or rotting of the fiber cement siding in Ann Arbor Michigan. It’s not affected by these items at all. It’s also not affected by warping and cracking like some wooden siding suffers from. Choosing a color for your siding is as easy as choosing the paint at the hardware store. Fiber cement siding can come in several different grades which allow you to have the siding painted at the factory, before it’s installed, or even after it’s installed. Typically when the siding comes from the factory painted the warranty on the paint is about 15 years. Of course, that will depend on the quality of siding and also the type of paint used. Once the siding is installed it’s usually a pretty good barrier for water for your home. Sometimes dust and dirt will collect on areas of the siding which can usually be hosed off without much trouble. Areas that may require maintenance is around siding penetrations such as exterior spigots and corners in the siding. Most of the fiber cement siding that is installed in Ann Arbor Michigan today has a warranty of 25 years or more so it’s certainly designed for the long haul to protect your home for years to come. Although fiber cement siding is really tough after it’s installed it’s actually difficult to handle before installation. Because the siding is heavy and very flexible it can be damaged before installation especially on days when the humidity is high. 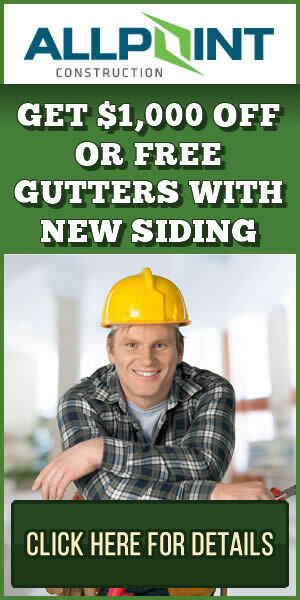 Having a qualified siding contractor in Ann Arbor Michigan to install the siding for you is a must. Installing this type of siding yourself is not recommended.